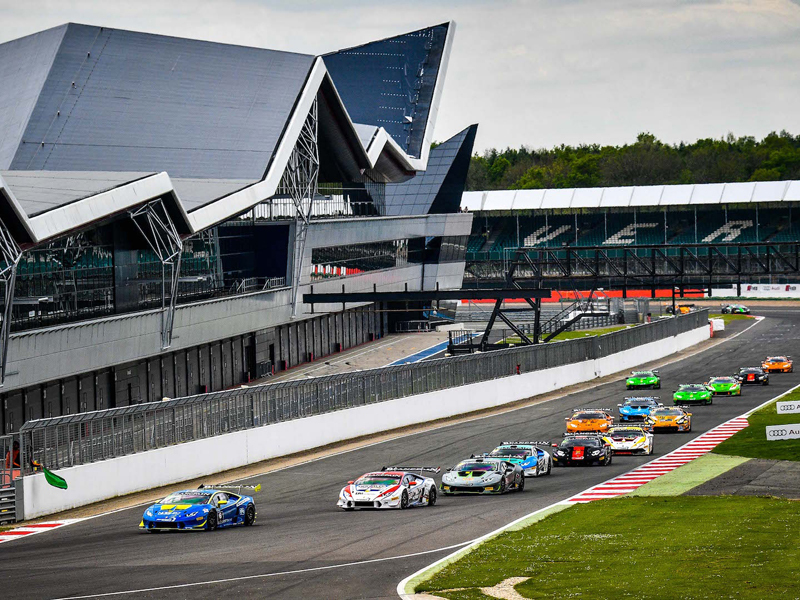 Vito Postiglione signed his first victory in the Lamborghini Blancpain Super Trofeo Europe, winning the second of the two races at Silverstone. A success, that of Imperiale Racing team’ driver, which allowed him to take the lead of the PRO standings after a series of unexpected situations during the race. The first of these has seen Dennis Lind as protagonist, who won Race 1 at Silverstone on Saturday. The Danish of Raton Racing team, author of two pole positions this weekend, started first and took the lead after the two safety car deployed in the first part of the race. But later, a contact with a lapped driver prevented him to conclude better than eighth. Only 14th position for Harald Schlegelmilch (Artline Team Georgia), who started from the first row and was soon involved in a contact that forced him to make a not expected pit stop. Deserved was the second place of the Antonelli Motorsport team, with the Loris Spinelli and Enrico Fulgenzi duo, with the latter author of a good first driving "stint" as the one conducted by its perfect teammate in the second part of the race. Good performance for Martin Kodric, third overall with the Huracán of Bonaldi Motorsport: the Croatian has confirmed the same position obtained in Race 1. A good surprise was the Austrian of Konrad Motorsport team Christopher Zöchling, fourth overall ahead the PRO-AM duo formed by Adrian Amstutz and Patrick Kujala (which today has turned 20 years), now the championship leaders in their class. Still among the front runners was the former F1 driver Nicola Larini, who finished sixth after having finished fourth on Saturday. The driver of Petri Corse preceded Marco Mapelli (Vincenzo Sospiri Racing), author as Saturday of a stunning race from the back of the grid. Mapelli, at its debut in the Lamborghini Blancpain Super Trofeo, started 41st and finished seventh. Third victory for the 17-year-old Rik Breukers in AM class. The Dutch of the GDL Racing team has made a double win at Silverstone strengthening his leading position in the ranking. In the Lamborghini Cup class, first victory of the season for the duo of Driving-Evolution by Autovitesse team composed by Frenchman Franck Metzger and Portuguese Carlos Sarrea. Tim Richards (Toro Loco) continues to lead the ranking after having signed in Race 1 his second win in four races. Vito Postiglione #23 - Imperiale Racing (first overall and first in PRO class): "I’ve made a good start, gaining immediately one position. Dennis Lind had a good pace. But then he had a contact with a lapped car and for me was easier. My team did a great job, today the car was perfect. This victory pays me after the bad luck that had deprived me of the success in the first of the two races at Monza." Patrick Kujala #33 - Bonaldi Motorsport (first in the PRO-AM class): "It was a very interesting race. I enjoyed it a lot, especially when I reached Marco Mapelli and we had a exciting battle. This race was the best gift for my birthday!”. Rik Breukers #71 - GDL Racing (first in the AM class): "It was a very difficult and eventful race. I close the weekend with two victories, bringing to three the number of the successes gained this year. From now I will begin to think seriously about the championship." Franck Metzger #63 - Driving Evolution-by Autovitesse (first in the Lamborghini Cup class): "This is the first season for me and my teammate and it is also the first time at Silverstone, a really beautiful track. For us it's all new and it was a great satisfaction to win here. We are very happy." The next round of the Lamborghini Blancpain Super Trofeo Europe is scheduled on the last weekend of June at the French circuit of Le Castellet. It will be in the same days of the prestigious 1000 km of Paul Ricard for the third round of the Blancpain Endurance Series GT Cup.